Continued economic growth and rising disposable incomes are making companies try different things to meet the ever-rising expectations of customers. Insurers, too, are innovating with product structures and benefits and experimenting with newer technologies and analytical tools to digitise processes (underwriting, distribution and claim settlement) to bring down costs and turnaround time. Apart from this, the Insurance Regulator and Development Authority of India (IRDAI), is giving a lot of push to make insurance products more customer-friendly. Let's look at the changes that happened this year and what one can expect in 2019. This year, more insurance companies came out with new-age low-cost ULIPs. Some also launched more inclusive critical illness plans covering newer or more diseases. 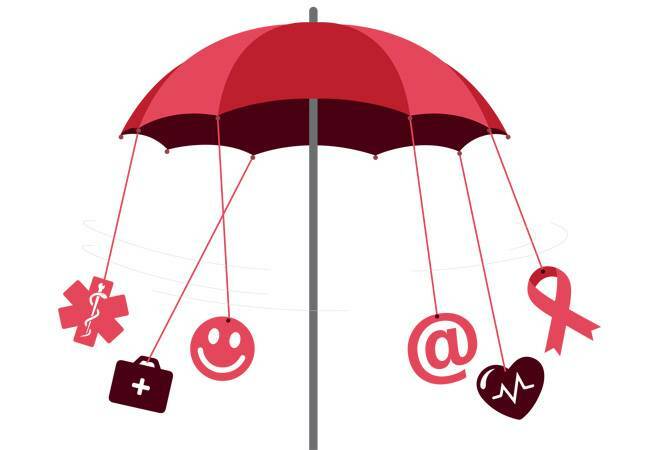 On the regulatory front, the IRDAI proposed certain changes in life insurance products. For regular premium products, the minimum death benefit is proposed to be reduced from ten times the annual premium to seven times the annual premium and to 1.25 per cent of the total premium for single premium policies, irrespective of age. The current minimum death benefits are linked to age. The new rules are simple and flexible. "The draft product regulations will simplify life insurance and provide more flexibility and value to customers," says Anoop Pabby, Managing Director and CEO, DHFL Pramerica Life Insurance. However, clarity is needed on the tax front, as rules providing tax benefit are in line with the old rules of minimum death benefit. In another set of proposed changes, the time period to acquire guaranteed surrender value is sought to be reduced from three years to two years for non-linked policies. The revival period for a policy may also be extended from two years to five years and claim settlement option from five years to 10 years in case of life insurance policies. In case of unit-linked pension plans, the withdrawal limit on maturity is proposed to be increased from 33 per cent to 60 per cent; the rest will have to be put into annuity. The draft also allows partial withdrawal from unit-linked pension plans. In 2018, a change which affected all financial services was the judgment on Aadhaar, which was being used to do eKYC to speed up processes. "The significant regulatory changes during 2018 related to eKYC and Aadhaar mean the industry is attempting to determine the way forward to ensure that the customer on-boarding process is streamlined within the boundaries defined," says Rishi Mathur, Head, Products and Strategy, Canara HSBC Oriental Bank of Commerce Life Insurance. Although all insurance segments saw action, for healthcare, 2018 was a significant year as the government launched the biggest ever healthcare programme - Ayushman Bharat - which will give around 10 crore underprivileged households a Rs5 lakh health cover. Although it will not have a direct impact on health insurance sector as most of the states are following the trust model, it may impact pricing of products over the long term by leading to a lot of data capturing. "The initiatives may prove to be beneficial in the long run as far as pricing is concerned. But it will certainly contribute in expanding the footprint of the wellness and health infrastructure segment, increasing the health insurance penetration in the country," says Parag Ved, Executive Vice President and Head, Consumer Lines, Tata AIG General Insurance Company. The IRDAI has also asked insurance companies to provide coverage for mental illness. "I believe it is a positive move that clearly focusses on the fact that mental illness should be treated on a par with any other physical disease," says Antony Jacob, CEO, Apollo Munich Health Insurance. Apart from this, a panel set up by the IRDAI has suggested a list of 17 diseases to be excluded in case of insurance policies, which will result in standardisation of exclusions, making comparisons easier. "With standardisation of exclusions, there will be better acceptability and enhanced trust in the insurance business. This will lead to greater penetration," says S. Prakash, Chief Operating Officer, Star Health and Allied Insurance Co.
"Standardised exclusions will make health insurance policies offered by insurers easily comparable and also make portability easier for policyholders. This will also make a basic health cover uniform, making it easier for a customer to choose a policy," says Subrata Mondal, Executive Vice President (Underwriting), IFFCO Tokio General Insurance. The IRDAI has also asked insurers not to deny coverage to HIV positive patients. Insurance companies have been asked to offer long-term insurance after a Supreme Court ruling mandating long-term third-party insurance for all new cars and two-wheelers. All insurers are obliged to provide long-term motor insurance by offering three-year third-party cover for cars and five-year cover for two-wheelers. The IRDAI has allowed launch of bundled products with one-year own damage insurance and multiple year third-party insurance. "Long-term motor insurance will lead to more vehicles remaining insured on the road. This will ensure that the financial liability of the customer is covered against compensation demanded by third-party victims," says Anurag Rastogi, Member of Executive Management, HDFC ERGO. "The customer is not required to remember annual renewal dates and thus is free of risk related to break in the policy," he says. But long-term policies have increased the one-time cost of insurance. Apart from this, in September, the IRDAI asked insurers to increase the minimum compulsory personal accidental cover to Rs15 lakh from Rs2 lakh for cars and Rs1 lakh for two-wheelers. The premium for the Rs15 lakh cover is Rs750. This has to be taken with every vehicle insurance policy. The IRDAI eased the norms recently to reduce the burden on the consumer. "The IRDAI has come up with a solution and introduced standalone personal accidental (PA) cover where a single PA cover can be taken for multiple vehicles. With the introduction of this option, customers will be able to save an additional Rs750 per vehicle," says Animesh Das, Head of Product Strategy, ACKO General Insurance. The proposed changes in the life insurance segment are expected to be implemented from 2019 onwards. On the product front, insurers are expected to continue experimenting. "Technology will play a massive role in creating customer-specific needs and demand-based offerings. Incorporating and extending new technology avenues like artificial intelligence, bots and analytics-driven products will continue to be the game changer; and growing digitalisation will continue to contribute to the growth story," says Kalpesh J. Mehta, Partner, Deloitte India. "Product-wise, as companies increase focus on profitability rather than sales, protection plans and riders will see more traction in terms of product launches, digital push and even driving channel incentives," he added. A few health insurance companies have launched products which use wearable technologies for product pricing. We may see similar products in life insurance too. "Currently, insurance companies are discussing a consultative paper and working towards creating infrastructure around using wearable technologies," says Anoop Pabby, MD & CEO, DHFL Pramerica Life Insurance. Also, integrated service providers, or insurtechs, will play a major role. "Insurtechs will play an influencer role across the value chain, which in turn will challenge incumbents to become agile in digitising the moment-of-truths in customer journey cycle," says Parag Ved of Tata AIG General Insurance. "The IRDAI has formed a working group to revisit the product structure of Motor Own Damage. The working group would be responsible for developing a revised product structure, coverage, standardisation of add-on covers, etc., to bring it in line with the fast changing ecosystem," says Rastogi of HDFC ERGO.